” Tenants’ advocates say that wait times for interpreters can extend for many hours and sometimes force postponements to other days. As a result, litigants often succumb to landlord attorneys who push them to negotiate outside courtrooms without an interpreter. The number of foreign-born residents has increased drastically over the last four decades. In 1970, roughly 18 percent of New Yorkers were foreign-born. In 2010, that figure was up to 37 percent, according to the Census and the NYC Department of City Planning. Funny , she doesn’t look a day over 103 . ” A single Bronx voter listed in official records as being 164 years old led Board of Elections officials to review their files — where they turned up another 849 New Yorkers who were supposedly alive when Abe Lincoln was president. The stunning discovery came after The Post reported last week that the birth date of Luz Pabellon, a spry 73-year-old who has been living and voting in The Bronx since the 1970s, was recorded as Jan. 1, 1850. This week, a search of the records in all five boroughs found 849 more voters with the same wacky birth date. Board officials chalked up the implausible age snafu to previous practices that allowed residents not to provide their exact birthdays when registering to vote. “ It’s a leftover vestige from a bygone era,” explained Board of Elections executive director Mike Ryan. 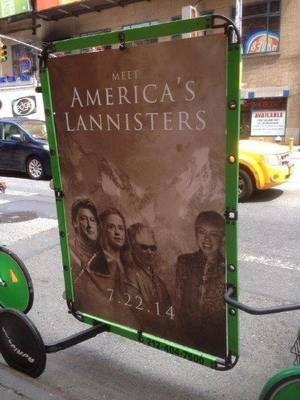 Pulled by advertising bikes over the weekend, the posters use themes from TV’s “Game of Thrones” and “House of Cards” in portraying Bill, Hillary and Chelsea Clinton — and advisor James Carville — as evil, though they don’t indicate exactly what the advertising is for. 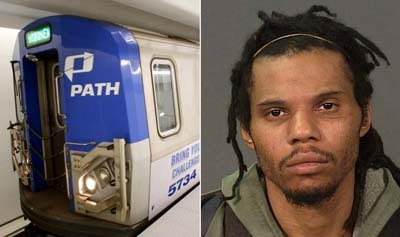 ” Some may feel that New Yorker Ibrahim King, 36, got what he deserved after he thought it would be “funny” to punch a totally unsuspected 21-year-old girl in the face in an apparent bout of the loathsome “knockout game.” After he punched the girl without warning he was chased down, slammed around, had his dreadlock pulled out of his scalp and forced to apologize by a bystander. Then he was arrested! A Brooklyn fare-beater allegedly punched a young woman in the face while apparently playing the “knockout game” in a Manhattan PATH station — and her friend chased him down, put him in a chokehold and forced him to apologize, sources said. ” Designers and researchers are continuously developing and dreaming up new things that could possibly be created or carried out by a drone or an unmanned aerial vehicle. Drones are being used and studied in various industries and sectors including the military, agriculture, retail, delivery services, and even the arts. In the not so distant future, drones may even be used to take pets out for a walk in the park. ” Washington, D.C., doesn’t have many farms, or farmers. Yet thousands of residents in and around the nation’s capital receive millions of dollars every year in federal farm subsidies, including working-class residents in Southeast, wealthy lobbyists on K Street and well-connected lawmakers on Capitol Hill. In neighboring Chevy Chase, Md., one of the nation’s wealthiest communities, lawyers, lobbyists and at least one psychologist collected nearly $342,000 in taxpayer farm subsidies between 2008 and 2011, according to the watchdog group Open the Books. Taxpayer subsidies were also paid out to Gerald Cassidy, the founder of one of Washington’s most powerful lobbying firms, Cassidy & Associates; Charlie Stenholm, a former congressman; and Chuck Grassley, a Republican senator from Iowa. Secretary of Agriculture Tom Vilsack continues to receive subsides even though he has overseen the agency that pays them since 2009. ” All of it is entirely legal,” said Adam Andrzejewski, founder of Open the Books, a group that created an online database and mobile app to track the subsidies. Civil forfeiture, the act by which a municipality can seize money during an arrest, has always been a controversial weapon of law enforcement. The practice became more prevalent in the 1980s, when jurisdictions around the country began pursuing cases involving money in both civil and criminal court in an effort to fight organized crime and deprive criminals of their income, even if they couldn’t imprison them. ” The same is true in New York City, where the civil forfeiture process has long been used by the NYPD to seize money from those least likely to be able to get it back. ” Any arrest in New York City can trigger a civil forfeiture case if money or property is found on or near a defendant, regardless of the reasons surrounding the arrest or its final disposition. In the past ten years, the NYPD has escalated the amount of civil forfeiture actions it pursues as public defense offices have been stretched thin by the huge amount of criminal cases across the city. 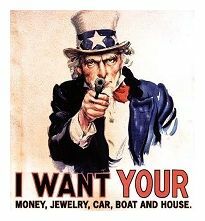 Legalized theft , pure and simple . A prank from the makers of Devil’s Due , a movie premiering soon , inflicted on the unsuspecting citizens of New York City .
" 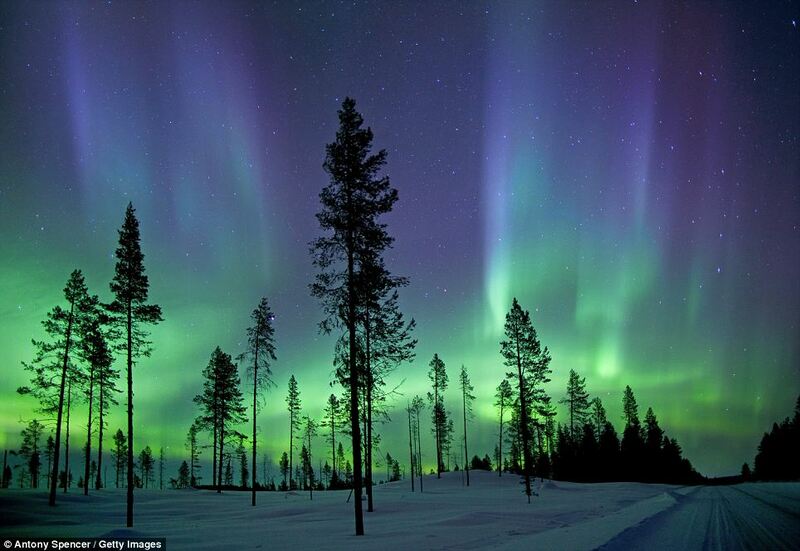 Dancing lights: The unique majesty of Aurora Borealis as photographed in the early morning hours in the arctic circle. Also known as the Northern Lights, these fascinating light shows are at their peak when sunspots occur with the most frequency "
" Inspiring: Like the striking view of London, this shot taken from the Empire State Building of the mega city of New York sums up humanity's ability to take on almost supernatural feats"
” A new pictorial volume from the world travel experts at Lonely Planet puts a new and unique perspective on some of Earth’s most inspiring scenes. Looking up from the bottom of Utah’s majestic, rust colored Bryce Canyon National Park shows the park, for those who’ve been there, as its never been seen before. Among striking shots of an ocean feeding frenzy and Aurora Borealis is a panoramic view of London and Big Ben at dusk that proves human landscapes can be just as breathtaking as those from mother nature. The title of the book, Lonely Planet’s Beautiful World, does not disappoint. “Huddled masses yearning to breathe free” isn’t the first phrase that comes to mind when describing tourists in 21st century New York City booking stays through Airbnb, the wildly popular website connecting residents wanting to pick up some extra cash with out-of-towners looking for cheap alternatives to a traditional hotel. Although the terms and conditions have changed, the commercial impulse is much the same. Take a twenty-something couple named Lauren and Rob, who asked that I not reveal their last names because of the legal issues surrounding Airbnb. They moved to the Big Apple to make it in showbiz. Struggling to make ends meet, they now cover about half the cost of their $2,250-a-month Manhattan apartment by renting out their living room couch for $65 a night. ” An explosion inside a New York Chinatown building caused by a woman who set off 24 bug bombs at once led to a fire and the partial collapse of the building. According to firefighters, the woman had let off 20 canisters of bug bombs on Wednesday and on Thursday deployed two dozen more – only this time she forgot to turn off an oven’s pilot light. ” Beware, Hamptons idiots — the D-bag patrol is on the prowl. ” NEW YORK (CBSNewYork) — It’s an education bombshell. They are part of a disturbing statistic. This story brings an awful lot of things to mind , but I’m not quite sure how to address them … More on this in time … Except who could leave out the one immediately obvious comment about how ” if we(taxpayers) just invested MORE in education ” we(NEA , UFT) would be able to teach 18 year olds how to read . Eleven point six BILLION just isn’t enough . 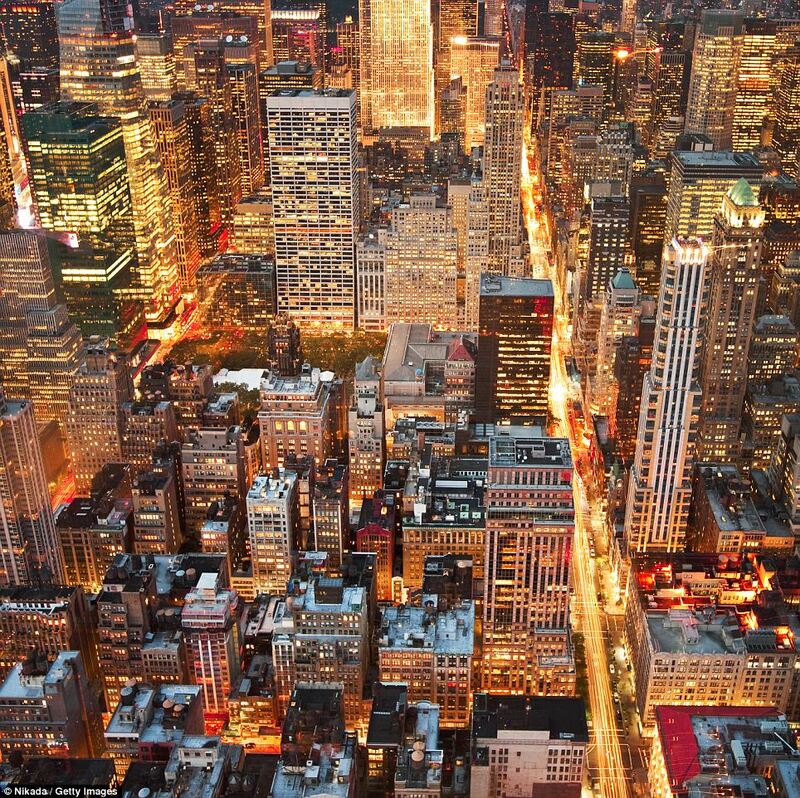 ” The city’s hedge-fund executives are flying south — and it’s not for vacation. Sandy Victims Still Stranded As ‘Red Tape’ Hinders Help From FEMA | CNS News.